Claims Dutton's comments were 'dangerous and erosive to our justice system'. The Law Council of Australia has harshly criticised immigration minister Peter Dutton over his complaints about the legal system's handling of cases involving Iranian refugees, calling his views "dangerous and erosive to our justice system". Dutton was on radio station 2GB on Tuesday, speaking about Iranian refugees who had been granted Australian visas that the government later tried to deport after making return trips to their home country. The Administrative Appeals Tribunal blocked the deportation bid, however, leading to coverage in national media earlier this week. Dutton told 2GB of his "frustration" over the AAT blocking the government's plan. "When you look at some of the judgements that are made, the sentences that are handed down it's always interesting to go back to have a look at the appointment of the particular Labor Government of the day," he said. In another interview on Tuesday with 3AW, Dutton also alluded to the appointment of judges. "The tribunal will look at these cases and it will come down to the judgement; the professional judgement of some people within the AAT and obviously those appointments are made by the government of the day, as is the case with the judiciary across the court system otherwise," he told 3AW. "So this Government's made a number of decisions not to renew the appointments of some of the AAT members that may have been appointed in the Rudd-Gillard-Rudd years and in some cases we've made fresh appointments ourselves. So that success rate if you like or the rejection rate will change over time." 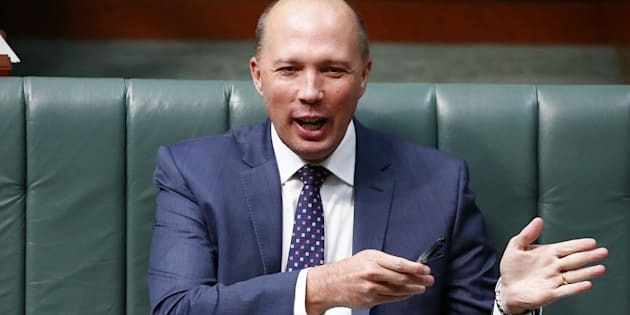 Dutton's comments, taking aim at the tribunal including president Justice Duncan Kerr -- a former federal Labor MP -- were criticised by the Law Council of Australia on Wednesday. "Any suggestion by government that Australian jurists are not acting with independence is dangerous and erosive to our justice system and lies outside Australia's democratic tradition. It undermines the public perception of the legitimate role of the judiciary and weakens the rule of law," said Law Council president Fiona McLeod SC. "Justice Duncan Kerr is a highly respected Federal Court judge who has provided excellent service to the Commonwealth during his time as AAT President. Members of the government may disagree with decisions made by the AAT, but the Courts and tribunals provide an important check upon the unlawful exercise of power." McLeod defended the AAT's structure. "The independence of the judiciary, and respect for the role of Courts and tribunals, is a fundamental to the rule of law in Australia," she said. "The Administrative Appeals Tribunal plays a critical role in overseeing and reviewing decisions made by Federal Government ministers, departments, and agencies every day. For members to face personal criticism for fulfilling their duties is inappropriate. They are reviewing decisions made by government in accordance with law, not personal preference or ideology."